I worked my way through my undergraduate studies in creative writing at Western Washington University through various jobs in food service, all of which included serving tables with alcoholic beverages: from aperitifs, to fine wines, to micro-brew beers. Jobs in the alcohol and food service industry allowed me the flexibility I needed as a student to balance work with studies, and without these jobs I wouldn’t have been able to support myself through school. I began with a job busing tables at Dirty Dan Harris’s Steak and Seafood Restaurant in Fairhaven just shortly after my twenty-first birthday, barely old enough myself to sample the fine wines we served, let alone know anything about how they paired with the offerings on our menu. 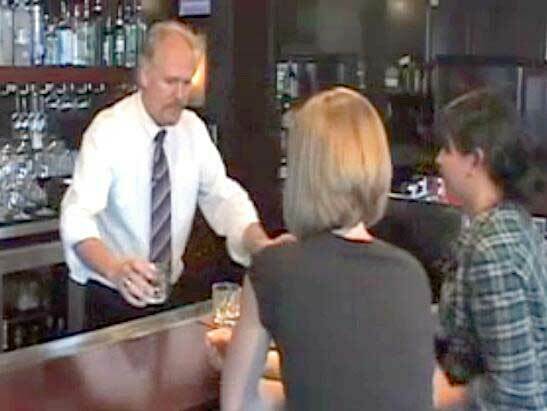 As a server in the community of Bellingham, I had regular customers who I came to know and care for through their patronage of the restaurants in which I worked and served them drinks. We all have a need, on occasion, to be cared for. Through serving food to my customers with warmth and compassion, I could help meet a very basic and primal need for nutrition, and facilitate a positive experience for them to share with their friends and loved ones. Reckless alcohol consumption, however, does not facilitate a positive experience. And it is here that the importance of a server’s role as facilitator is fulfilled. Merriam-Webster Dictionary defines a facilitator as one who “helps to bring about an outcome by providing indirect and unobtrusive assistance, guidance, or support.” As far as I am capable, I have tried my best to ensure my patrons’ positive experience dining out carries through the meal, from the moment they get up to leave the table, all the way through arriving safely at home. Besides, there’s hardly a good story to tell when you can’t remember what happened in the first place. And like in any great story, a person (or a character) makes choices that have real outcomes they’ll carry with them through the rest of their lives (or narrative arc). As a student at Western Washington University, it was important to me that I bridged the gap between being a college student residing in the town of Bellingham, who is bound to come and go within a few years, and a community member who makes a positive impact on the people she encounters in her time here, however short or long that time may be. The jobs I held in food and alcohol service played a large role in this. I graduated from Western in 2009, and decided to stay in Bellingham a few years more to work on my writing and continue working in the service industry. But the time has come in which I must move on. In the fall I’ll be starting as a first-year graduate student at Ohio University in the Master’s in Arts in Creative Writing program in Athens, Ohio. As a graduate student at Ohio University teaching Freshman Composition courses, I will have the unique opportunity to reach out to entering freshmen as they begin their college experience in a new town--a small college town very similar to Bellingham. I view my objective as a graduate instructor in much the same light as that of a server: to facilitate a meaningful and rewarding experience, challenging my students and myself to bridge the gap between being a college student and being a community member. Many of my students will be pledging to sororities or fraternities while enrolled in my composition course. Through the instruction they receive in my classes, I hope to instill in them the knowledge, awareness, and sense of accountability that they are all responsible as individuals and as a community as a whole to facilitate positive experiences for themselves and their peers while at Ohio University and onward. The author, Melissa Queen, is one of our runners up in the Scholarship to Save Lives competition. In addition to our $500 scholarship, we selected 3 recipients for a runner-up prize of $100. Thank you so much to Melissa and to all of our entrants.